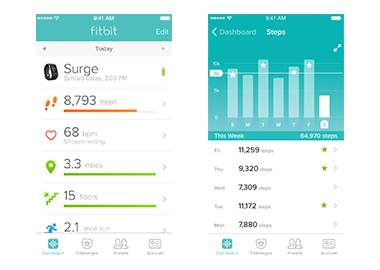 Track your steps, distance, calories burned, active minutes, stairs climbed, and sleep with Fitbit devices. 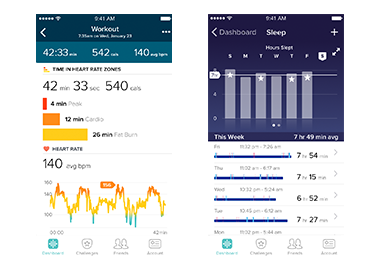 Your stats upload wirelessly via computer or select mobile devices, so you can see progress toward your goals. Stay motivated by earning badges or connecting with friends for support or friendly competitions. Log food, workouts and more. By connecting your Fitbit Tracker to your MyFitnessPal account, all of the data tracked by your Fitbit will be synchronized with your MyFitnessPal account. 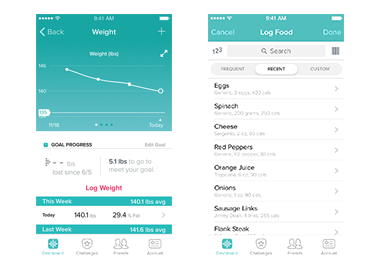 Your daily calorie goal will automatically be adjusted to take into account your activity level as measured by your Fitbit.